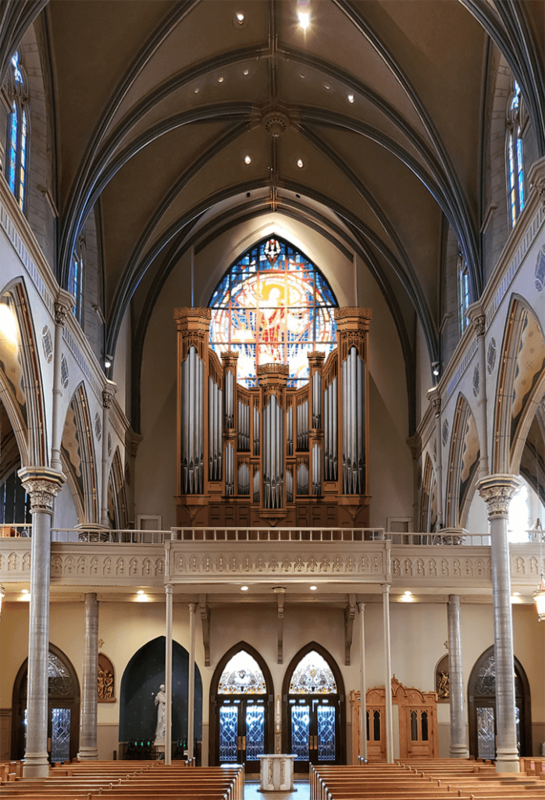 We are thrilled to announce that the Noack Organ Co. has been chosen to build a new fifty eight-stop, three-manual tracker instrument for The Cathedral of Saint Paul in Birmingham, Alabama. The Cathedral of Saint Paul is an elegant building designed in 1893 by the noted architect Adolphus Druiding who very successfully combined Neo-Gothic Victorian lines with eclectic detailing, leading to a sense of grandeur through the proportion of the sanctuary and its intricate decoration. The Noack Opus #164 will be housed on the West end gallery in a new solid oak case which will clear the rose window. Delivery is expected in 2021.